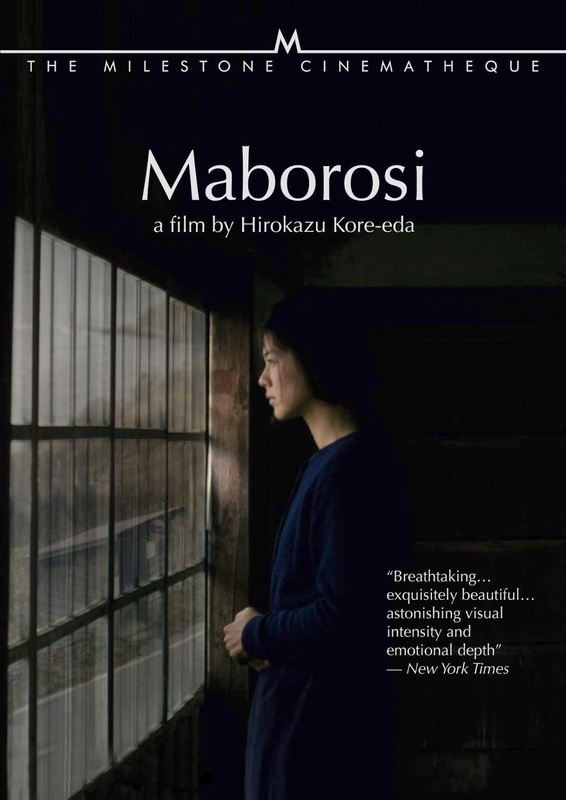 Despite having earned widespread acclaim for films such as Nobody Knows and Still Walking, Hirokazu Kore-eda's 1995 debut feature film, Maborosi, has seemingly been forgotten by western audiences. After winning the coveted Palme d’Or just this year for his latest film, Shoplifters, Maborosi has come back into focus thanks to a beautiful new Blu-Ray edition from Milestone Films. While family dramas like Still Walking and Like Father, Like Son have established Kore-eda as seemingly the heir apparent to Yasijiro Ozu, Maborosi is something of a different animal. There are flashes of Ozu's thematic interests here, but Kore-eda has something else in mind. Following a young woman mourning the sudden death of her husband, Maborosi is more of a mournful mood piece than a family drama. Quiet and hushed, more is said between lines of dialogue than is ever actually spoken aloud. 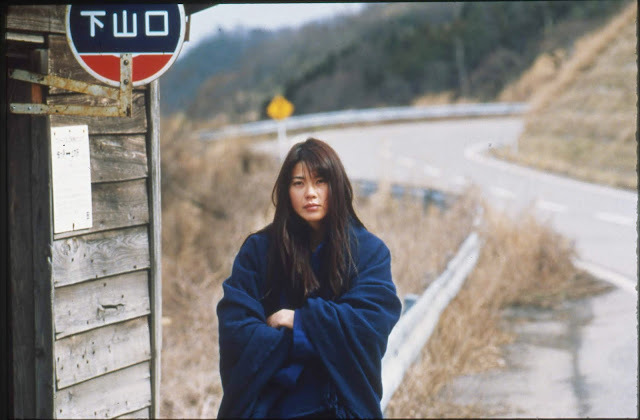 Haunted not just by the death of her husband, Yumiko (Makiko Esumi) is also plagued by memories of the death of her grandmother, who wandered off from home to die when Yumiko was very young. Her husband's sudden departure by apparent suicide brings that tragedy back into sharp focus, leaving Yumiko to piece her life back together by retreating to the coast with her young son. Much of the drama is internalized, and Kore-eda allows the silences and spaces between words to carry much of the weight. His static mise en scène and sense of hushed introspection recalls Hou Hsiao-Hsien moreso than Ozu. Although Kore-eda's style continued to evolve, there's something remarkably powerful and assured about Maborosi. It explores ideas of shared pain and cyclical grief, as Yumiko's past becomes a fresh source of pain through her tragedies in the present. "It's harder to say goodbye if we keep postponing it." Yumiko laments at one point. Her inability to let go of the past leaves her unable to deal with the problems of the present. Kore-eda's camera deftly captures that sense of isolation and loneliness through precise framing and stark lighting contrasts, casting Yumiko as a woman in the shadows, surrounded by light she can never quite reach. Maborosi is a film of feelings and textures that establishes character without the need for traditional plot structures. Kore-eda masterfully builds dramatic tension through glances and silences to suggest his lead character's inner turmoil, leading to a film that beautifully embodies the soul crushing nature of grief. It's a noteworthy debut for a significant filmmaker, who continues to grow and redefine himself as an artist with a singular yet versatile voice. 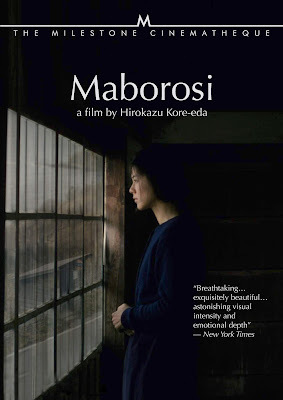 MABOROSI | Directed by Hirokazu Kore-eda | Stars Makiko Esumi, Takashi Naito, Tadanobu Asano, Gohki Kashiyama, Naomi Watanabe, Midori Kiuchi | Not Rated | In Japanese w/English subtitles | Now available on Blu-Ray and DVD from Milestone Films. Commentary by Linda Ehrlich, independent film scholar and Associate Professor Emerita from Case Western Reserve University with special thanks to Yuki Togawa Gergotz. Birthplace, a video documentary with actress Makiko Esumi. New English subtitles by Linda Hoaglund with Judith Aley, and the assistance of Linda Ehrlich.